Since opening in 2006 top chef Theo Randall’s first solo venture has received numerous accolades including the London Restaurant Awards Italian Restaurant of the Year, Best Italian in the over £50 meal category in Harden’s restaurant guide and the highest ranking for an Italian restaurant in The Sunday Times Food List. In 2014 one of Theo Randall’s dishes won Best Dish at the prestigious Tatler Restaurant Awards. After all this success Theo wanted to celebrate his restaurant’s tenth anniversary in style with a new look interior. A desirable setting for diners has been a high priority from the outset. Zagat international dining reviews gave the original decor one of the highest ratings for an Italian restaurant in London. As regular customers clearly held it in affection the new look needed to impress while retaining the atmosphere and “serene ambiance”, as one description enthused, so appreciated by diners. The inspiration for the new interior lay in “bringing Theo’s food to life”, according to design agency Superfutures. 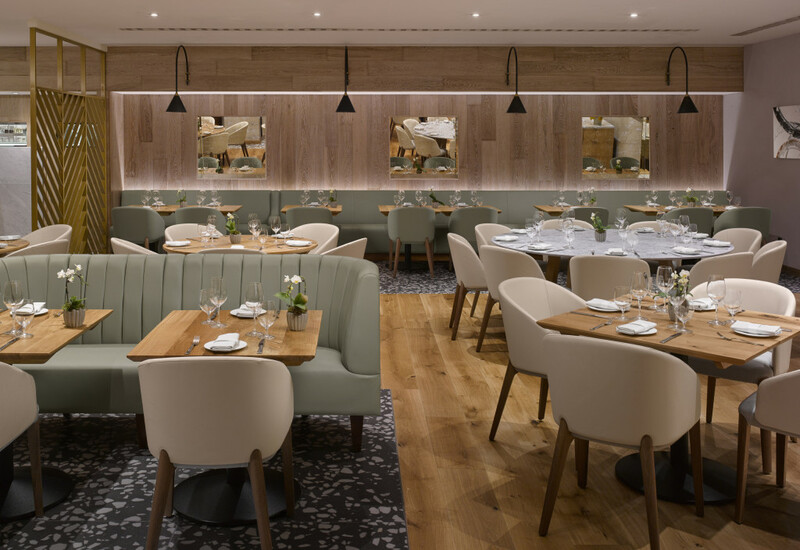 The “cozy” feel was achieved in a large part by use of Craftwood’s fluted back seating in, rather appropriately, Thyme Green leather, bearing in mind that herb’s usage in Italian and Mediterranean cooking. 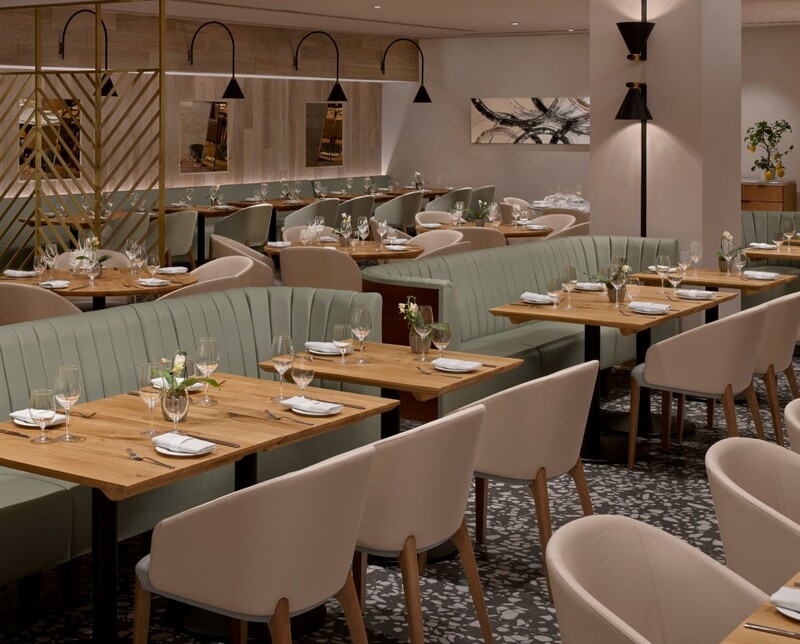 After ten years in operation the new decor and seating of this high end restaurant had to meet and exceed the expectations of existing customers and impress newcomers, while at the same time retain the atmosphere for which the Theo Randall’s at the Intercontinental is renowned. 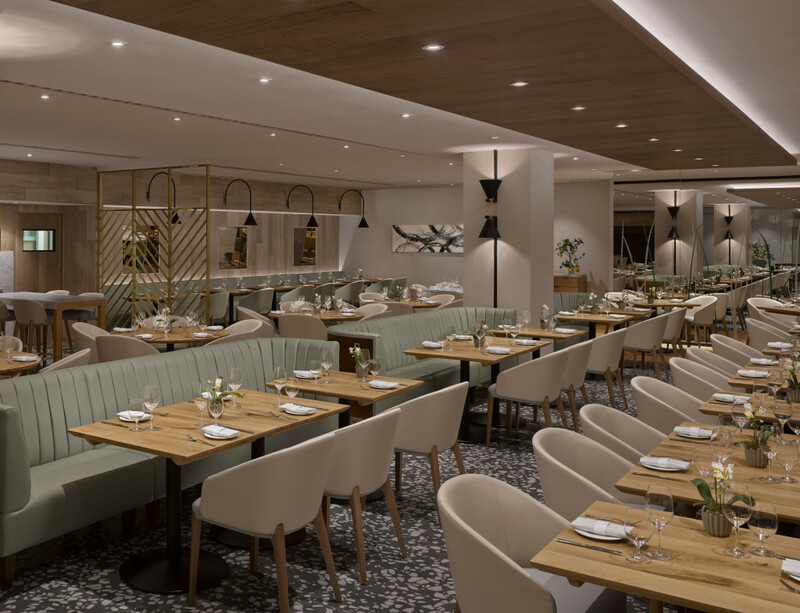 As the above image shows the new look is one of which Theo Randall and the Intercontinental hotel can feel justifiably proud. Existing customers who couldn’t wait to see the new interior were certainly not disappointed judging by comments on Facebook, with adjectives such as “fantastic”, “beautiful” and “great atmosphere”. The new look is a fitting tenth birthday present as the restaurant looks to another decade of providing a superlative dining experience.